Â Global Positioning System (GPS) is accessible to almost everyone by the introduction of smart phones. 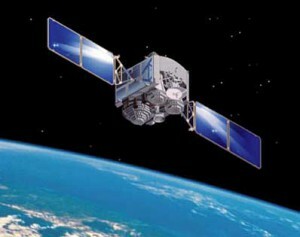 We can know our position and can locate any place by using satellites. Currently, the device has some limitations, as if GPS is not available inside houses, poor signal reception in remote places, and so on. Â GPS systems currently can track up to 10 feet. However, this height is more than enough for consumer applications, the defense personnelâ€™s are in need of a more accurate system. Â Â Lockheed Martin, a high-tech company, is developing the next generation GPS satellites, with a tracking accuracy of almost 3 feet. Using this GPS system, we can track a person or object even if he is indoors or under Â forest canopies .The first satellite will be launched in 2013 and the satellites will revolve in orbit in 2014. The new GPS system called the Block III will be more efficient and accurate than the old ones. Block III is supposed to give a precise image of the ground.Â This will be beneficial for both civil people and military. Reflectors – Reflectors are fitted on the satellite for determining its position. Laser beams are fired from the ground station to the satellites. These beams will be intercepted and reflected back by the reflectors. This signal, when received by the ground station, will help in determining its position and distance. Thus, there will be no need of radio signals. This method will also help in knowing whether the satelliteâ€™s clock is off or not and will help in making the satellite more accurate. Civilian signal– This signal can be used by all civilians for various applications in smart phones , cars and other devices. The stronger the signal quality the better it will be useful for people. Even Google maps will be better because of good tracking . This $5.5 billion project is expected to change the face of the present GPS technology.Â It is heard that Pentagon is indented to place 32 Block III satellites in the outer space. Further discussions are being made in integrating the different GPS satellite technologies from various countries into the Block III. This will bring a wider scope in the GPS tracking abilities for the common man than the ones available now.